Whether this is your first trip to the Gateway Arch, or your 20th, you are in for a treat. At 630 feet, the Arch is the country’s tallest man-made monument, and that alone makes it awe-inspiring and mesmerizing. But there is more to marvel at with the grand opening of the Arch’s new entrance, visitor center and museum on July 3. 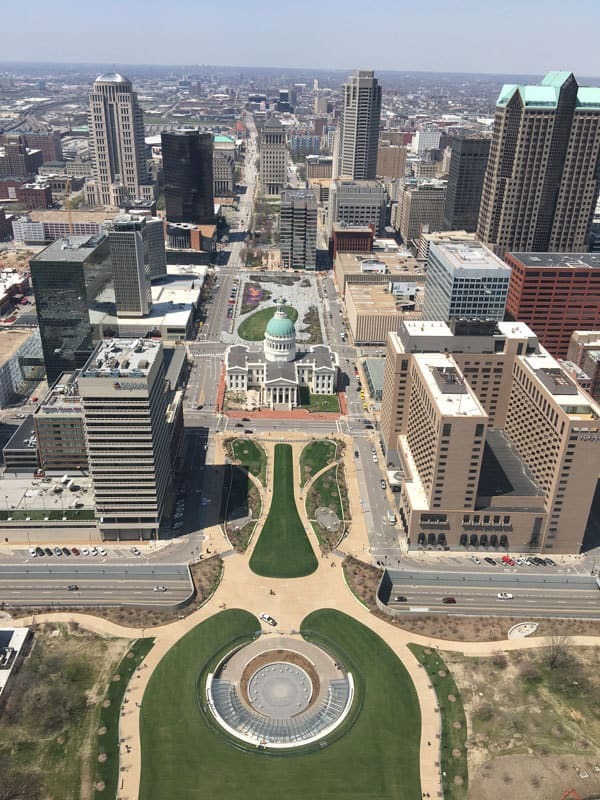 The multi-partner CityArchRiver project has transformed the grounds of the Gateway Arch National Park (formerly the Jefferson National Expansion Memorial) with a stunning new land bridge over Interstate 44 that directly connects the Arch to the Old Courthouse and downtown for pedestrians and cyclists. The new museum below the Arch is state-of-the-art, with immersive, hands-on displays. It is divided into six galleries that focus on the mid-1600s to the present. Colonial St. Louis highlights the founding of St. Louis and the indigenous and Creole culture prior to the Louisiana Purchase. The Jefferson’s Vision gallery explores how St. Louis helped shape the West. Exhibits in the Manifest Destiny gallery describe overland trails, settlers and conflicts. The Riverfront Era recreates the lively steamboat landing on the Mississippi River at St. Louis. In New Frontiers, the exhibits look at railroads, industry and the myth of the West. The Arch itself is the star of the final gallery: Building the Gateway Arch. The vision of architect Eero Saarinen, the Arch commemorates Thomas Jefferson and the role St. Louis played in the westward expansion of the country. Together, the Arch and the historic Old Courthouse, site of the Dred Scott case, make up the 90-acre national park. For the tour, start at the Old Courthouse, then walk across the land bridge directly to the new west-facing entrance to the Arch. Visit the museum; ride the tram to the top; watch the documentary “Monument to the Dream,” which details the construction of the Arch; and browse The Arch Store. Outside, there are more than five miles of bike and walking paths on the expanded Arch grounds. Or opt for a different view of the Arch on a scenic Mississippi River cruise aboard one of the riverboats — Tom Sawyer or Becky Thatcher. Stop for a bite to eat on the riverboat dock at the Arch View Cafe. To make a weekend of it, splurge for an Arch-view room at the Hyatt Regency St. Louis at The Arch. The view, both day and night, of the Arch is a highlight of the trip.